The Chocó rainforest is a unique habitat in South Amercia that receives the highest annual rainfall (up to 16 m per year) on Earth. The Chocó boasts one of the world’s richest lowland biotas, with exceptional richness and endemism in a wide range of taxa including plants, reptiles, amphibians and butterflies. For example, this region houses more endemic species of bird than any habitat type in the Americas, and is home to over 25% of the plant species found in the Neotropics. Yet because of widespread habitat conversion and hunting pressure, Chocó habitat and the exceptional diversity it supports are at risk. In Ecuador, less than 10% of original Chocó forests remain. Our research and conservation work is based in northwest Ecuador, with a focus on 15 communities in the Mache-Chindul Reserve, Esmeraldas Province and the Bilsa Biological Reserve. A cornerstone of our conservation work is training and employment of local residents as environmental ambassadors. These men and women are highly trained field biologists who formulate hypotheses, design studies, and gather data on endangered species and key ecological processes in the forests surrounding their communities. Through our program, they have become computer literate, coauthored peer-reviewed scientific papers, and made presentations at national and international scientific meetings. At the same time, they serve as advocates for conservation, and have made hundreds of public presentations and hands-on workshops on environmental themes to their own and other communities. 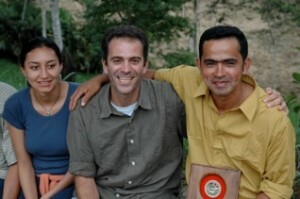 As an indication of the success of this program, Mr. Jorge Olivo (pictured left) was awarded the Disney Wildlife Conservation Fund’s ‘Local Conservation Hero Award’, a prestigious international prize in recognition of his outstanding contributions to conservation in the Chocó. We have developed a highly successful model for education in which teachers from local communities meet for one weekend each month to receive training and aids for environmental themes. Since 2004, this project has reached 15 communities and over 500 children each year with themes including basic conservation and ecology, the flora and fauna of the Chocó, and watershed protection. We also put on regular environmental fairs, technical workshops for adults, and hands-on experiential learning opportunities for adults and children. 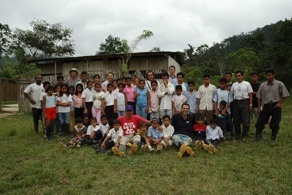 Most recently, we have formed an Ecuadorian NGO named Fundación Conservación de los Andes Tropicales (FCAT). 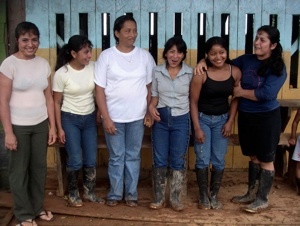 FCAT’s governing board consists of longtime Ecuadorian team members of this project working closely with the broader community to solicit and incorporate information on perceived needs, and how best to meet them. It is the vehicle by which Ecuadorians continue to expand their ownership of the design, implementation, and management of this project. To learn more about The Chocó of Ecuador, click here!